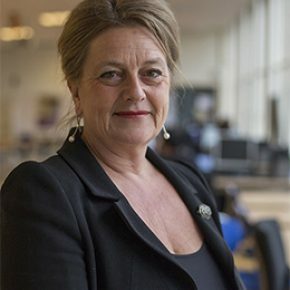 Patricia Osseweijer is full professor and leader of the Biotechnology and Society group at the Department of Biotechnology, TU Delft. She is Flagship Manager of the BE-Basic program “Societal embedding of a Sustainable Biobased Society” (14 M€) and coordinator for the BE-Basic activities in Brazil and Malaysia. She is advisor of the Brazilian Bioenergy program. During her career she organized the international course “Bioethics and public perceptions” in Oxford, among others. Her research interests focus on responsible biobased innovation – in particular on its societal impact –, public opinion forming, novel designs of public communication and their relevance for policy making and ethics. She aims to bridge societal challenges to (bio)technology solutions and encourages engineers to think from a society’s perspective. Social responsibility of scientists in public interaction and public opinion forming. Novel forms of public communication. Ethical aspects of industrial biotechnology. Development of transdisciplinary action research methodology.